When it comes to optimizing the performance of Canada’s top athletes, it’s important to know that it takes a lot of work, especially the collaborative kind. Much of this works goes on behind the scenes by a dedicated group of experts and specialists from a vast array of disciplines in sport science and sport medicine including physiology, strength and conditioning, sport psychology, biomechanics, nutrition, para-medical and medicine. This group is collectively known as the National Sport Science and Medicine Advisory Council (NSSMAC) and it serves many important roles within the Canadian Olympic and Paralympic Sport Institute (COPSI) Network. Key roles include planning workshops, mentorship for specialists, professional development, leadership and networking opportunities, ensuring continuous support for athletes from the daily training environment to the Games, and assisting Own the Podium in the pursuit of excellence with sport innovation and applied sport research. The ultimate goal is to assist the Integrated Support Teams (ISTs) from National Sport Organizations (NSOs) with the delivery of sport science and sport medicine services that are athlete-centered and coach driven. According to Dr. Brian Benson, CSI Calgary Chief Medical Officer and Director of Sport Medicine and the NSSMAC Sport Medicine Lead, this requires continuous communication and integration between the coach and team of experts, which helps ensure that Canadian athletes are healthy, fit and psychologically ready for optimal performance. More recently, the NSSMAC leads have helped shape the current COPSI Network Athlete Intake process with the purpose of providing an opportunity to identify gaps in health or performance measures that can impact the athlete’s ability to compete at the highest level. “The Athlete Intake Position Paper is used as a guideline, identifying best practices in each discipline,” explains Benson. Ultimately, its over-arching theme is the spirit of collaboration amongst coaching, IST and NSO staff to achieve healthy athletes that are working towards their performance goals in a quality and sustainable manner which supports the coache’s plan. Over the past several years, the NSSMAC medical leads have been shifting the high performance medical service delivery model from a reactive approach toward a proactive, performance-based approach. This has required a shift of priorities towards early detection and ultimately towards a preventive and monitoring focus. “Injury prevention can be considered a performance enhancing mechanism as healthy athletes are able to maximize training, technique and mechanics to optimize performance outcomes,” says Benson. Bridging the gap between injury and illness treatment and prevention requires the involvement of key IST members in the athletes’ daily training environment. Specific to sport-related concussion, the NSSMAC medical leads have recently developed a comprehensive standard of care for high-risk winter and summer sports in the COPSI Network. It includes specific recommendations based on the most current evidence from the Berlin 2016 Concussion in Sport Consensus Statement, Parachute Canada, and the Canadian Concussion Collaborative, but is specifically targeted to Canadian Olympic and Paralympic athletes and their unique situations. 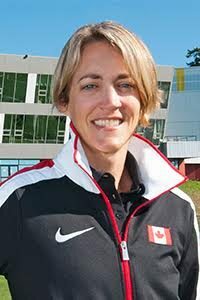 Led by Benson, the initiative strives to provide a national standard for concussion so that Canada’s Olympic and Paralympic athletes’ brain injuries are assessed with the highest level of precision, and managed with a targeted, individualized strategy to ensure an efficient, responsible and safe return to training and high-risk sport participation. According to Benson, each high-performance athlete is unique with a different set of physical and cognitive attributes that affects their susceptibility and response to a concussive injury. “The COPSI Network comprehensive, standardized, healthy Athlete Intake assessment allows the medical team to provide the best possible, individualized management recommendations if a sport-related concussion is sustained,” he says. The level of care and attention to detail surrounding an athlete’s wellbeing, in both the health and performance realms, is truly outstanding. It is also remarkable that this is accomplished by a very dedicated group of experts and specialists working together to help Canada’s best athletes achieve great things in the world of sport, and beyond.